It's a protest, and beer is the victim. Owners of pubs and clubs are chucking Coopers Brewery products in the bin. Pubs and clubs in Melbourne and Sydney are boycotting the sale of Coopers Brewery products in their venues as part of the backlash facing the company in light of a controversial advertising campaign featuring the Bible Society. The brewery distanced itself from the campaign on Monday which featured two Liberal politicians sipping Coopers Premium Light while debating marriage equality, saying it did not sponsor or approve of the campaign, despite evidence to the contrary. "We want you to know that Coopers did not give permission for our Premium Light beer to feature in, or 'sponsor' the Bible Society's 'Keeping it Light' video featuring Andrew Hastie and Tim Wilson," a statement released by the brewery said. "We respect the beliefs of our community and do not wish to try and change them." In response to the Coopers brand being linked to the controversial campaign, gay bar Sircuit Nightclub and The Old Bar, both in Melbourne, as well as Sydney-based venues Hollywood Hotel and Newtown Hotel have all condemned the beer producer. 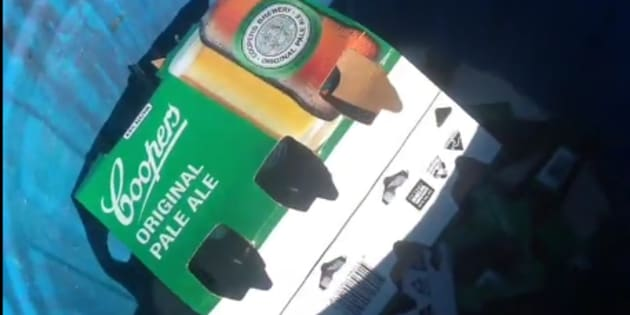 The OId Bar also addressed the controversy in a Facebook post, saying it will no longer be purchasing stock from Coopers Brewery after the video, despite a lengthy relationship with the company. A bartender at The Old Bar, wishing only to be known as Stan, called the ad a "very poor marketing campaign" and said the bar won't be going back to Coopers to buy stock "any time soon". "It frees up some opportunity to get some lesser known, local breweries on the taps and to support some smaller brewers and to encourage them," he said. "Fitzroy is a very small scene, so it's a good opportunity for people." In Sydney, the Hollywood Hotel announced they will be reassessing their relationship with the brewery following the ad campaign, to the delight of many of their customers. Staff at the venue said they are currently still waiting on a reply from Coopers regarding their partnership. The Newtown Hotel also decided to replace Coopers products, instead opting for local Sydney producer Rocks Brewing Company, and announced it will be $1 from every pint sold in March to not-for-profit advocacy group GetUp! Staff from the Newtown Hotel told The Huffington Post Australia they believe Coopers Brewery have a choice in regards to how they spend their money, as do they, and have decided to put their money towards backing local breweries instead. "Dr. Tim Cooper and the Coopers Brewery are entitled to spend their money however they wish – as are we," a statement provided to Huff Post Australia said.